Ahhh. Just like old times. Sweating buckets, spending energy, being silly, hauling equipment, setting up, tearing down, giggling, laughing- you name it. These are the makings of a great Vacation Bible School! 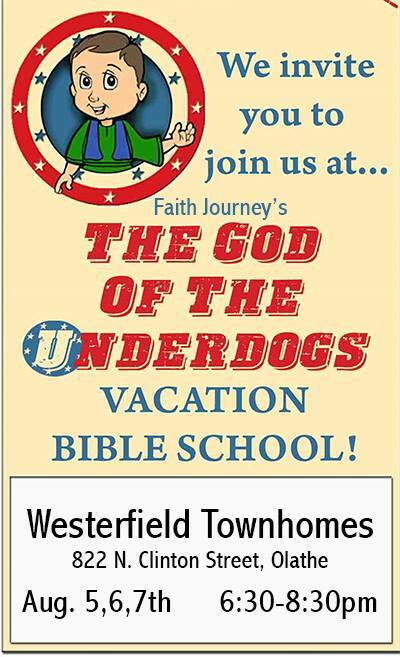 This week Faith Journey Church of the Nazarene has been hosting "God of the Underdogs" Vacation Bible School, and in true Faith Journey fashion, we don't wait for people to come to church (as if it were a destination), we bring Church to the people (because that was God's design in the first place.) Remember, the Church doesn't have a mission. God's mission has a Church. We've been hosting the VBS outside at a local park, nestled amongst town homes and apartments, proclaiming the love and power of our God to dozens of children and parents. It couldn't be a better venue! When the neighbourhood kids see the tents going up and hear the music playing, they come running! 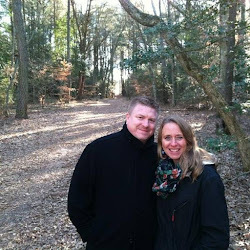 It is a great joy to partner with people to whom the mission of God is more important than convenience and more valuable than their pocketbooks; it is something decidedly worthy of their time and devotion. We've had 45-50 children each night and the week isn't over yet! Thank you, Father, for the rain-less skies, humble servants, and your love that compels us to spend energy on behalf of our young people.